You know that owning your guest data is the key to delivering personalized experiences and cultivating loyalty. But, to take action on that data, you need to invest in the right Customer Relationship Management (CRM) solution. 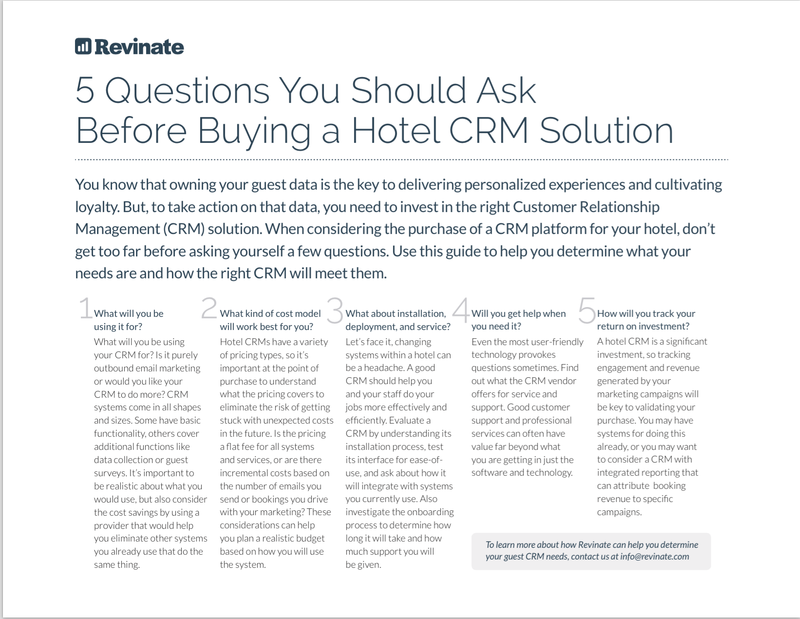 When considering the purchase of a CRM platform for your hotel, don’t get too far before asking yourself a few questions. Use this guide to help you determine what your needs are and how the right CRM will meet them.